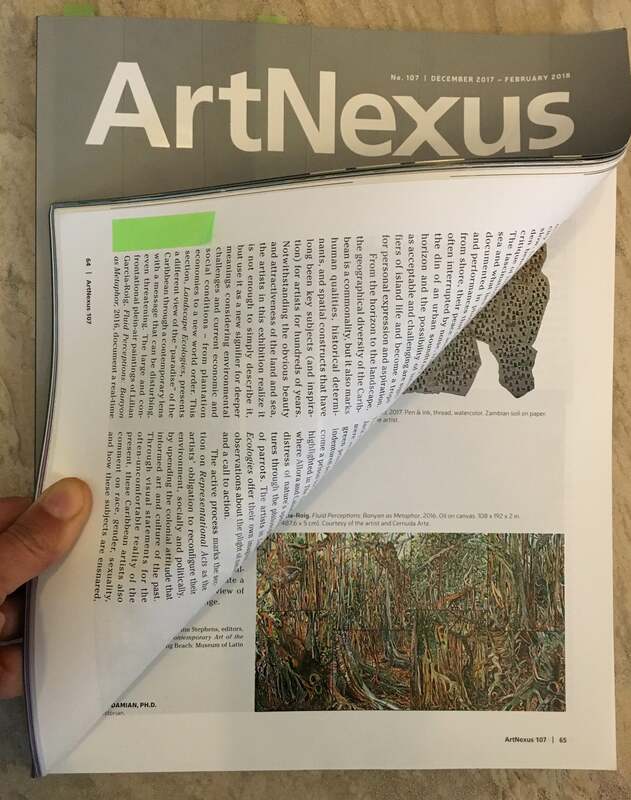 Professor Lilian Garcia-Roig‘s large, multi-panel on-site painting, “Fluid Perceptions: Banyan as Metaphor” is mentioned and reproduced in review by Carol Damian of the “Relational Undercurrents: Contemporary Art of the Caribbean Archipelago” show at MOLAA in the new Art Nexus issue No. 107. The show, which is part of the Getty’s Pacific Standard-Time initiative, has been extended through March 4, 2018. You can purchase a hard or electronic copy of it here, or read the article on Professor Garcia-Roig’s website.